Most of us set forth on this grand quest of blogging, Internet marketing, and all the rest of it based on a certain set of assumptions. We assume, for instance, that we will generally have reliable access to our email so that we may best pursue the opportunities that are presented to us. We assume that when we place an affiliate link on our blogs that we will be suitably and accurately credited for any qualified referrals that we generate. Soon enough we may find that we are no longer just running a website or blog, but now a fully functional business or brand that is now generating some real money. 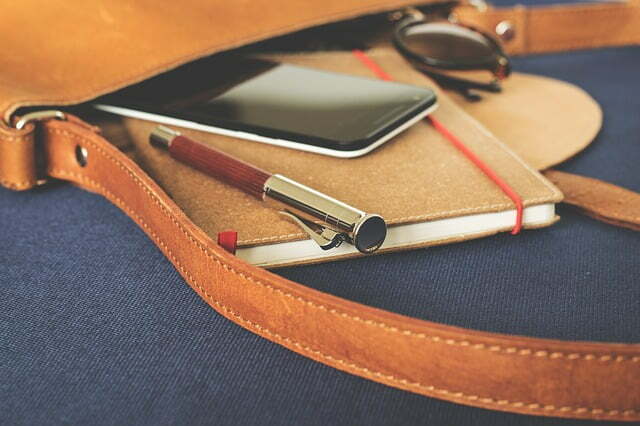 In addition to the management of such a site, there are plenty of factors that will now come into play – such as how freelancing can play a role in the growth of your business, and also how to better manage costs and revenue in the process. No matter what areas you want to improve or expand in, it’s likely you are going to need some help through the use of manual work or software automation. When it comes to generating revenue on the internet, it’s all about getting as many page views as possible – and of course, targeting the right audience. With this in mind, we can also assume that when we see a page view or a click-through on our sites that it is coming from a living, breathing human being on some computer (or other connected devices) somewhere in the world. But the reality is much more complex than that and by most estimates, anywhere from at least 40% to over 60% of web traffic is actually being generated by bots. These bots aren’t all bad, of course, because they are necessary for the day-to-day functioning of the web. Google unleashes its army of spiders so that it can feed the data into its search engine algorithms, for instance. However, some reports indicate that some 20% of overall Internet traffic can actually be attributed to malicious bots. And this could be seriously hurting your prospects of success. The biggest and most profound scenario where you will find this in action is with pay-per-click advertising (PPC). The two biggest players in this space are Google AdWords and Bing Ads. From the perspective of the advertiser, you set out your bid and budget for a given campaign and set it loose onto the online world. The way it’s supposed to work is that actual people click on those ads and you pay the corresponding amount for that click because you are extracting a certain amount of value from that paid traffic. But click fraud, most typically from a bot or even one of your competitors, can completely wipe out your budget. That’s because you’re effectively paying for a click that has no actual value to you. Let’s say that you’re running a PPC campaign to a landing page for a certain affiliate offer. If a real person clicks on the ad and arrives on the page, you have the opportunity to earn a commission. If it’s a bot (or a competitor with zero intent of giving you any money), then your chances of conversion are essentially zero. READ ALSO SEO basics: what are ranking signals? Repeat this cycle over dozens, hundreds or even thousands of clicks and you can see how click fraud can completely kill your return on investment (ROI). You’re spending your budget on clicks that are worthless to you. Google AdWords and Bing Ads have algorithms in place to detect some of this click fraud, but they’re hardly bulletproof and a lot of fraudulent clicks still make it through their filters. You might watch several expert YouTubers or listen to PPC podcasts to help improve the performance of your campaigns, but click fraud can continue to play a hugely detrimental role in sabotaging your prospects at optimal profitability. With more users going for their mobile devices and social platforms to find information and watch video, it’s now more important than ever for YouTubers and Podcasters to have a solid understanding of where their traffic is coming from, what they are doing on your site, and how long they stick around. This isn’t important for just their own analytics, it’s extremely important for any advertisers or sponsors they might have as well. Except it’s just as relevant to any bloggers (and site owners) who may be running CPC campaigns, like those powered by Google AdSense. 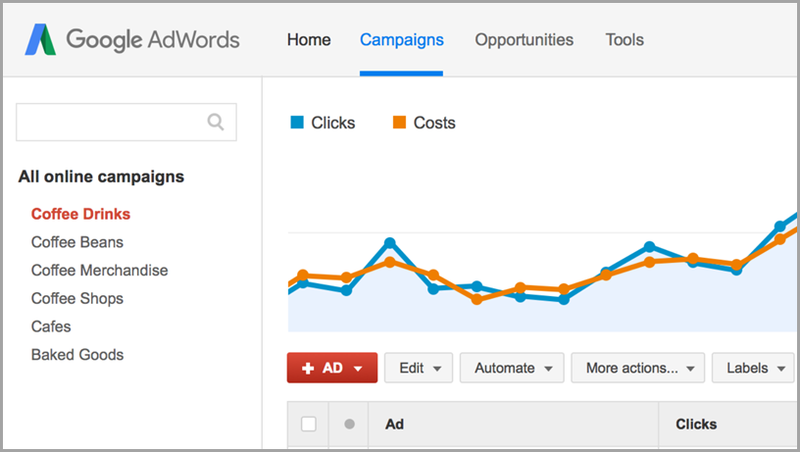 PPC click fraud could be killing your blog earnings too. When fraudulent clicks eat up the budget of legitimate advertisers, it means that it is much less likely that their ads will appear on your site. When that happens, the algorithms will then populate your available ad inventory with the next advertiser who would have put in a lower bid rate. 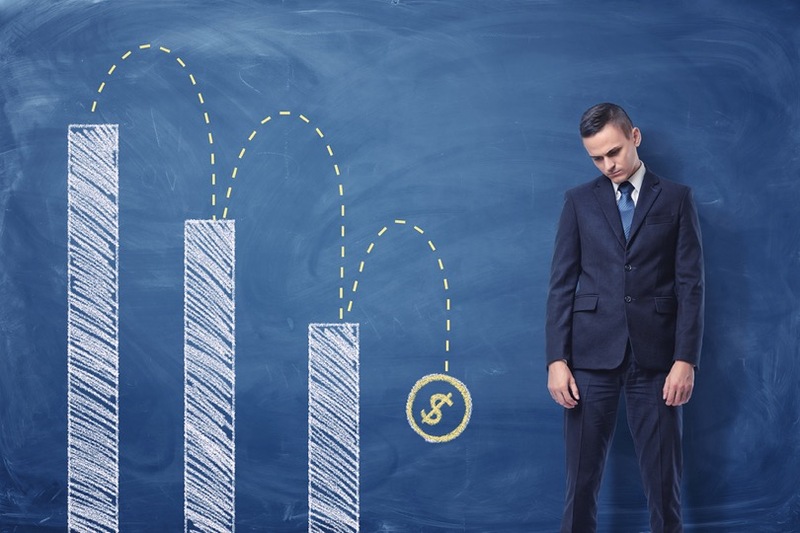 Again, if we were to continue this process down the line, it means that you are displaying advertising at a lower rate than you really should be and this can be painfully detrimental to your bottom line too. Let’s go back to the perspective of the advertiser. As mentioned earlier, both Google AdWords and Bing Ads have systems in place that help to reduce the amount of click fraud. The first tier is automatic. When one of the algorithmic rules is triggered to indicate a fraudulent click, the click may be disallowed and the click then won’t register in your account. At the second tier, the system looks for behavior that is an anomaly or otherwise suspicious. They may look into this further on a manual basis and the click may also be disallowed. To better understand what click fraud is, and how it works, simply refer to this reference guide from Chargebacks911 – who is in the business of monitoring fraudulent charges online and keeping the advertiser safe. The article goes into some nice detail on the main different types of manual click fraud (rivals, affiliates, friends), and how automated click fraud (bots, hit inflation, click farms) are also on the rise as well. Even with a solid understanding of what click fraud is, it’s important to have the necessary tools and monitoring in place at all time. The main reason for this is that both manual and automated fraudulent clicks can still make it through both these filters. You need another line of defense that is based on your own analysis, but how can you do that? This is where a service like ClickCease can prove tremendously helpful. 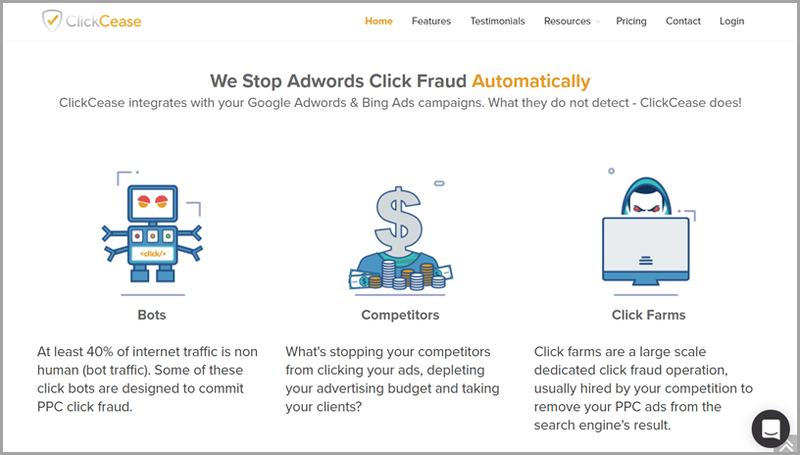 It integrates with your Google AdWords and Bing Ads campaigns, stopping PPC click fraud automatically. The main point here is that their system is able to detect fraudulent clicks that Google and Bing miss. This includes not only bots but also your competitors, as well as click farms that could be depleting your PPC ad campaign and removing your ad from search engine results. We all know blog content is hard enough to monetize and promote through paid advertising and PPC as it is. Once you consider the options in place to back out the costs of click fraud, the mission becomes much more attainable. In this case, the way that the technology works is that ClickCease will track every click on your ads to gather data about how your ads are typically interacted with. The smart algorithms are then able to distinguish between legitimate clicks and those generated by bots and fraudulent behavior. In the latter case, the ad can then be hidden from the fraudulent source to prevent future fraud. You can set custom detection rules and review comprehensive reports, plus utilize the automatic claim agent reports so you can file for your AdWords credit refund. Since most legitimate site content is written in a specific way and usually has a call to action in place, visitors to the site should be reading and scrolling through it in a specific way as well. With this in mind, countering click-fraud should be an easier and more effective solution for bloggers who might already have paid advertising in place on their sites. When you run any kind of business, both online and off, you strive to secure and protect every step of every process. That’s why you should always use secure checkout for e-commerce, and why you should have suitable protections in place for your website’s back-end. And the same is true when it comes to protecting your business from click fraud. A relatively modest investment in a click or traffic monitoring service will usually cost you less than a dollar per day. However, this type of traffic or blog monitoring service shouldn’t be looked at as a cost, but actually, a solution that could save you hundreds or even thousands of dollars over the course of a year. Fight click fraud tooth and nail and protect your blog earnings and bolster your profits.